The University of Virginia press will posthumously publish a book by the late Professor of History Emeritus Jeffrey Butler in December 2017. The book, entitled “Cradock,” tells a history of racial segregation in the titular town where Butler was born. After Butler’s death in April 2008, the book was finished and edited by Richard H. Elphick, Professor Emeritus of History and Faculty Fellow in Social Studies, and Jeanette Hopkins, former Editor-in-Chief of Wesleyan University Press, who passed away in 2011. 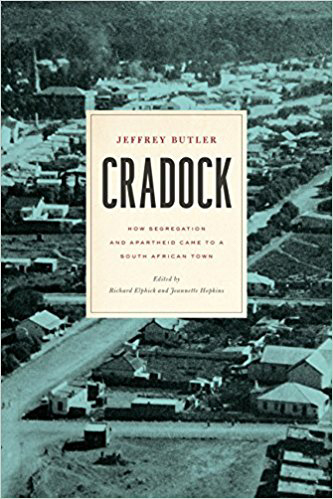 According to the book’s description, “Cradock” deals with the South African town’s personal history from segregation to Apartheid, and how these political upheavals affected its citizens. Chris Saunders, a historian of South Africa, praised the book. “A fine microstudy of South Africa’s transition from segregation to apartheid, this detailed case study of what happened in one small town throws important light on the trajectory of the country as a whole,” he wrote. According to an obituary in the South African Historical Journal, Butler began his academic career at Rhodes University. In 1947, he briefly stopped his studies to do voluntary military service in Italy, where he lost an arm in combat. He returned from his military service to complete a doctoral degree in history at St. Anthony’s College at Oxford University, where he wrote a thesis titled, “The Liberal Party and South Africa, 1895-1902.” From 1965-1991, he served Wesleyan’s faculty, where he was history department chair twice and a member of the College of Social Studies. While he became an American citizen during his time at Wesleyan, he frequently returned to South Africa on various grants and research projects. Elphick remembers Butler as a beloved scholar. On December 2nd from 4 to 6 pm, The Wasch Center for retired faculty will hold a book signing event, honoring Butler’s new work and his life of scholarship. After the ceremony, a bench will be dedicated to him and his wife, Valerie. Henry Spiro can be reached at hspiro@wesleyan.edu and on Twitter at @JudgeyMcJudge1.